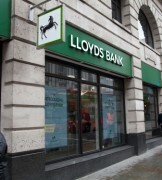 Lloyds Bank plans to invest £1 billion in digital banking capability over the next three years, re-investing a third of the savings it hopes to make in its drive to become ‘simpler and more efficient’. At the bank’s annual results announcement today, group chief executive António Horta-Osório said the bank hopes to achieve £1 billion of annual run-rate savings by the end of 2017 through the simplification and increased automation of key processes, the reduction in third party spend and changes to its organisational design. Horta-Osório said that the bank has 10.5 million active online banking customers, and at the end of 2014 it had 5.2 mobile users, an increase of 29% over the previous year. The second strategic priority is to create operational capability by becoming simpler and more efficient, which will fund the digital investment. “Through the simplification and increased automation of key processes, the reduction in third party spend and changes to our organisational design, we expect to deliver a further £1 billion of annual run-rate savings by the end of 2017, creating value for customers and improving our long-term competitiveness,” he said. The third priority is to deliver sustainable growth in the bank’s main retail business lines of mortgages and current accounts by growing in line with the market. Horta-Osório said that the bank has “also identified a number of growth opportunities in segments and areas where we are currently underrepresented and will look to grow above the market, including business banking, financial planning and retirement, and unsecured consumer lending”.